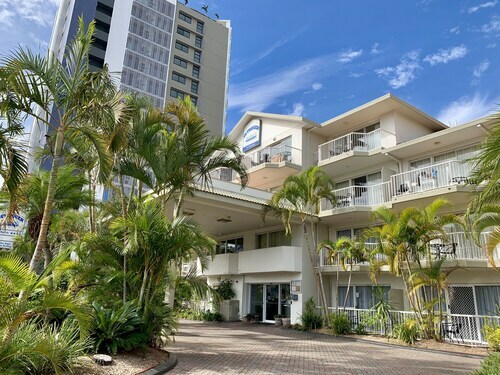 Situated on the Strip, this motel is within 6 mi (10 km) of Surfers Paradise Beach, Robina Town Centre, and Cavill Avenue. Ripley's Believe It or Not and Timezone are also within 6 mi (10 km). 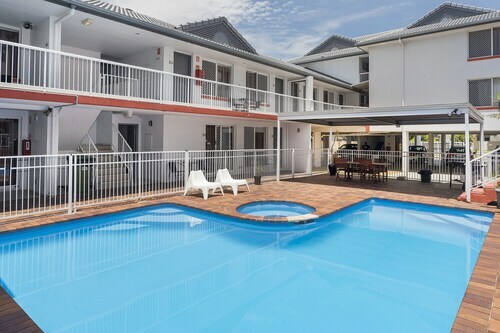 Situated by the ocean, this motel is within 6 mi (10 km) of The Star Gold Coast, Surfers Paradise Beach, and Robina Town Centre. SkyPoint Observation Deck and Currumbin Wildlife Sanctuary are also within 6 mi (10 km). Offering direct access to the beach, this Miami apartment building is within 1 mi (2 km) of Nobby Beach and Burleigh Beach. 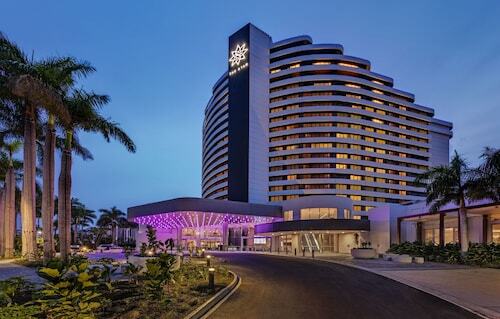 Pacific Fair Shopping Centre and The Star Gold Coast are also within 3 mi (5 km). 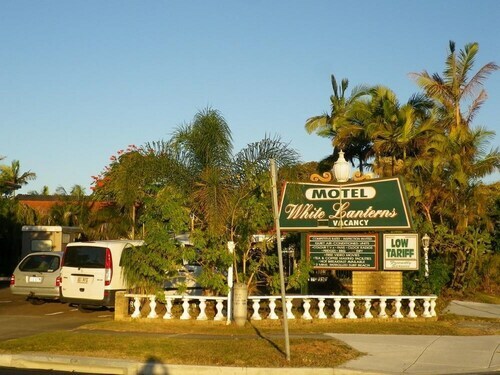 Situated on the Strip, this motel is within a 15-minute walk of Nobby Beach and Burleigh Beach. Pacific Fair Shopping Centre and The Star Gold Coast are also within 3 mi (5 km). Want to visit Miami without heading all the way to Florida? Then why not visit Miami on the Gold Coast instead? Just like its North American counterpart, Miami boasts beautiful beaches, so you can be sure to have heaps of fun in the sun and waves. Book your Miami accommodation today and kick-start your beach holiday! A little beach town founded in the 1920s, Miami is a quiet haven amid the hustle and bustle of the rest of the Gold Coast – perfect if you’re after a place you can really unwind and relax. Spread a towel out on the silver sand of Nobby Beach and bask in the warm sun, or take a dip in the cool, blue water. If you’d rather keep dry, take a walk along the esplanade or visit the shops and markets across the road, which have whatever you’ll need to make your holiday as enjoyable as can be. If you’re in Miami on the 2nd Friday of the month, check out the Miami Marketta, an arts and crafts market that features fashion and homewares from up and coming designers, live entertainment and delicious eats. If a sit-down meal is more your thing, duck into one of the many eateries where you can sate your appetite whether you’re craving Indian, Italian, mod-Oz or just a freshly-fried plate of fish and chips, or sit and enjoy the view of the beach at one of the many alfresco cafes along the sidewalk. Miami is located just 15 minutes from Surfers Paradise and Robina and 10 minutes from Currumbin and Broadbeach, making it a great place to hang your hat before exploring the rest of the Gold Coast. Come face to face with Aussie wildlife at Currumbin Wildlife Sanctuary or shop ‘til you drop at Robina Town Centre or Pacific Fair at Broadbeach. 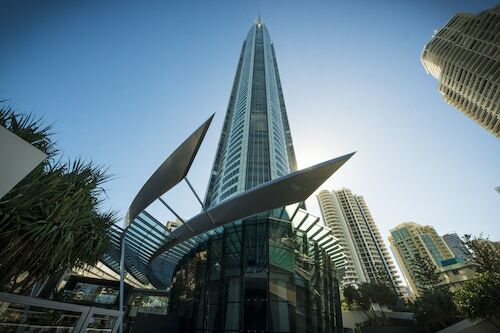 For big waves, hot nightlife and attractions like Ripley’s Believe it or Not, Dracula’s Haunted House and SkyPoint, the tallest observation deck on the Gold Coast, Surfers Paradise is the place for you. Travel a little further and have a ball of a time at Australia’s biggest and best theme parks: Warner Bros. Movie World, Sea World, Wet’n’Wild Water World, Dreamworld and White Water World. So wot are you waiting for? Have the best of the Gold Coast on your doorstep with our range of Miami hotels. Don’t forget your flights to the Gold Coast! Hotels in Miami start at AU$83 per night. Prices and availability subject to change. Additional terms may apply.